EXTENDED TO NOVEMBER 21 BY POPULAR DEMAND! One-of-a-Kind Luxury on Madison Avenue takes place October 15-November 15, 2017 to celebrate the unique products and services found in the Avenue’s stores that makes a visit to this shopping destination unlike any other retail experience in the world. 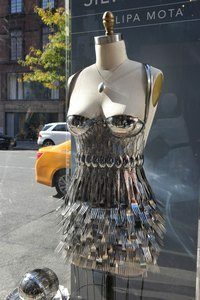 Thirty-six premier brands residing in the Madison Avenue BID between 57th and 86th Streets are featuring a roster of exceptional, one-of-a-kind items and experiences for sale. Please click here to view the one-of-a-kind look book. The list of participants includes: Akris, Anne Fontaine, Aquatalia, Aquazzura, Asprey, Baccarat, Barton Perreira, Beretta, Bottega Veneta, Brioni, Brunello Cucinelli, Cesare Attolini, Chopard, Christofle, Davide Cenci, De Beers, Dolce & Gabbana, Dennis Basso, Derek Lam, Devi Kroell, Frette, Hästens, Hermès, Ippolita, Isaia, John Lobb, Lalique, Lukurë, Marina Rinaldi, Max Mara, Moynat, Nirav Modi, Panerai, Pomellato, Roland Mouret and Smythson. 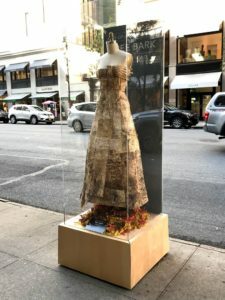 We are honored to present a special outdoor exhibition of works by students in the 3D Design program of the School of Visual Arts on the theme of one-of-a-kind fashion. 14 pieces are on display on the sidewalks of Madison Avenue from East 61 Street to East 76 Street.